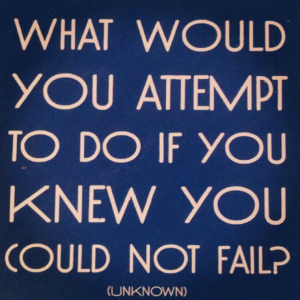 If you could attempt anything for God and knew you could not fail, what would it be? Who is telling you, “You will fail”? This is the central question asked to discover what your heart’s desire is. It is amazingly simple but scary at the same time. I asked this question of myself only a year ago and discovered that I was not living a “LIFE of FAITH”. I had in some sense dialed it in for security and comfort. You see when we ask this simple but profound question God does something in our Heart’s. Psalm 37:4 says “Take delight in the LORD, and he will give you the desires of your heart.” I believe that this means God plants the desires in our hearts that he wants to use to accomplish His purpose. So What is your Heart’s Desire?